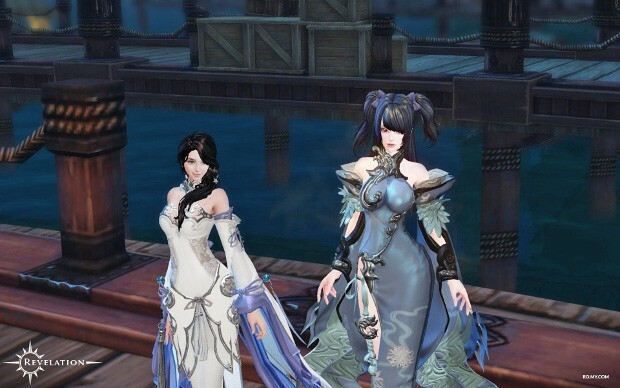 Today, My.com published a post highlighting the new Exploration quests in Revelation Online. These new weekly quests are actually a series of 25 smaller quests that task players with locating NPCs throughout the game’s world. Because of the amount of quests contained in one big Exploration quest, they offer players the opportunity to obtain a healthy chunk of XP, Imperial Notes, faction favors, and other goodies. Currently, the game offers 3 different Exploration quests; the first of which can be unlocked at around level 20. The other two are unlocked at levels 30 and 50. To start each of these quests, players will need to locate the starting NPC. They should party with up to four others, as this will make things easier as well as increase the experience gained. And, if they really want to get the most out of their XP earnings, it is suggested that they purchase Journey of Lampyr from the Cash Store. This item doubles the amount of XP earned from Exploration related quests. Of course, as stated above, XP isn’t the only thing players will get from Exploration Quests. They can also look forward to earning Imperial notes, faction favors, Peculiar Tickets, and a Journey Gift Packet from the region the quest takes place in. These Gift Packets are filled with all kinds of useful goodies that will help players in their quests. MY.com is russian pay to win host! Ignore scammers! Indeed and Revelation online is the biggest p2w material ever.Just because of that weekly cap,the gap between players who normally play and normally pay is huge. Wow that something these days. I guess that why I don’t see to many people MMO games these days.